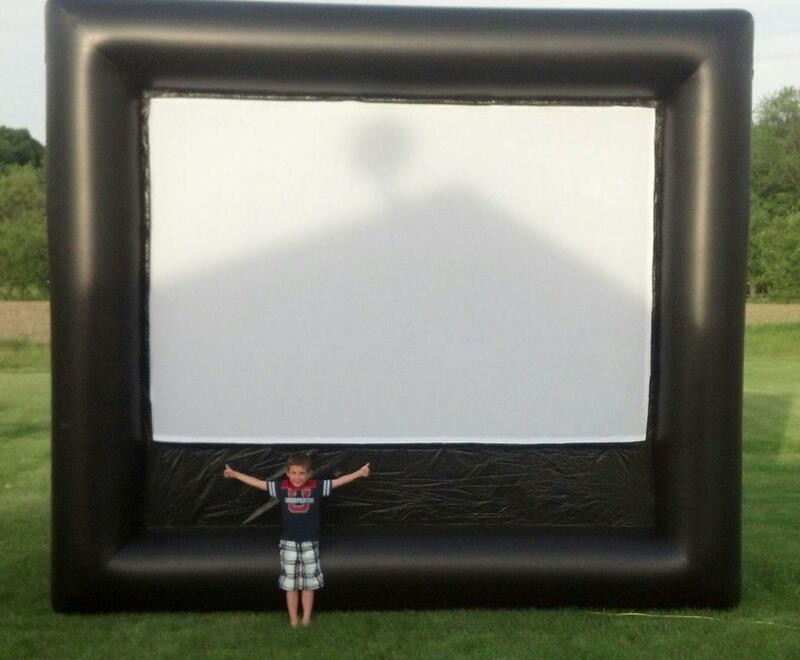 12' x 9' (viewing size) inflatable outdoor movie screen. 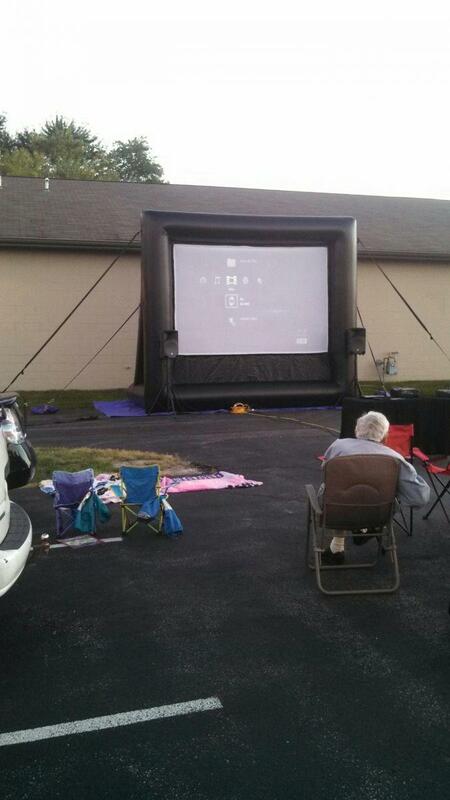 The inflatable movie screen package comes with everything necessary for a movie night. It includes the DVD / Bluray player, a Projector, awesome Sound System and the HUGE Inflatable Movie Screen. 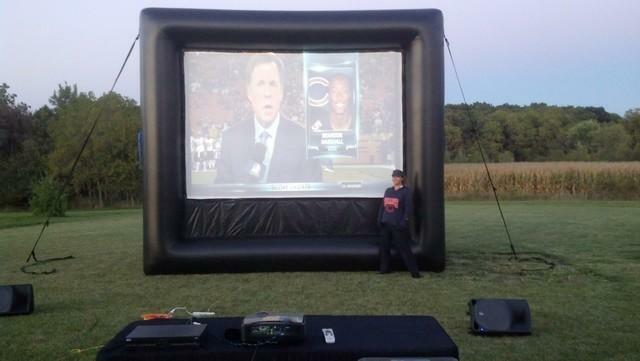 This is GREAT not only for watching movies on the big inflatable movie screen but also for the big game or fight night. After the movie or big game make it gaming night. (You must supply the gaming device and games.) Playing video games on the big screen is an experience. Book your family entertainment center today!! !